Dr. Blackburne is currently Executive Medical Director for PPD (Pharmaceutical Product Development, LLC); in this role she has strategic input and oversight for a portfolio of pharmaceutical and medical device product development opportunities in Urology, Women’s Health and General Medicine. Dr. Rose Blackburne is Board Certified in Obstetrics and Gynecology and has over 25 years of experience in healthcare. She was a practicing Obstetrician/Gynecologist for over 10 years prior to her career as a global pharmaceutical/biotechnology executive in the CRO industry, and was an Investigator for clinical trials in women’s health. Dr. Blackburne has over 14 years of clinical research and development experience and has held numerous CRO global leadership positions across therapeutic areas including Ph I-IV programs for early development through post approval which have included urologic, obstetric/gynecologic, dermatologic, and other indications for pharmaceuticals, medical devices, diagnostics. 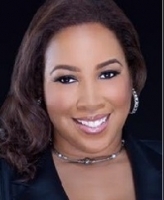 Dr. Blackburne received her medical degree at the Morehouse School of Medicine, Atlanta, Georgia, and completed an Obstetrics and Gynecology residency at Columbia University in New York. She holds a Master of Business Administration from the Darden Graduate School of Business at the University of Virginia, studied Health Policy and Health Care Delivery at Harvard University John F. Kennedy School of Government, and her B.A. at University of Virginia, in Charlottesville, Virginia. Dr. Blackburne has recently been appointed to a four-year term as Industry Representative Alternate (2016-2020) to the FDA Patient Engagement Advisory Committee (PEAC) to provide advice on issues relating to the regulation of medical devices and their use by patients, and to develop Agency guidance and policies.